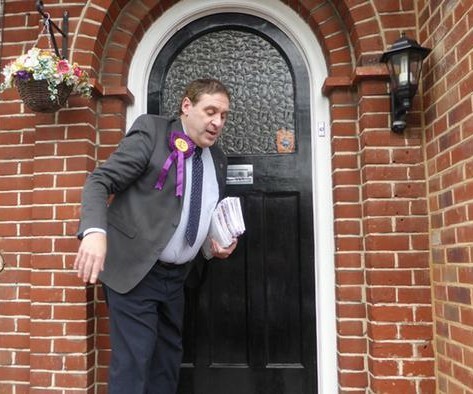 The British Gazette » UKIP: the Unparalleled Katastrophic Impact Party. British Gazette comment: Freddy, you use the phrase, “catastrophic effect on Brexit”. It is to be MOST EARNESTLY to be desired that these 27 Tories SUCCEED in any opposition amendment to the bill that has the effect of restricting the negotiating remit of Her Majesty’s Government to insist that the UK remains a member of what is commonly known as the “Single Market”, more accurately known as the “Internal Market” and legally known as the European Economic Area (EEA). The effect of a Brexit that involved leaving the EEA will mean physical disruption to trade on colossal proportions. It will mean lorries parked nose to tail on the side of the M2 from the channel ports to the M25 and also on the M25. It could mean the M1 and M6 would be effected similarly. It would mean perishable goods would be removed from these parked lorries and their contents legally disposed of under the supervision of environmental health officials. It would mean shut downs due to stock outs of large sections of British industry (manufacturing and retail). The effect on the FTSE 100 and FTSE 250 plus the value of Sterling will be the same: a huge slump. The slump in Sterling will be the supreme irony that over-tops the highest scales of parody as the slump in Sterling’s value will make British exports incredibly cheap but unavailable to all those potential customers in the EEA. Let us put it simply. Let us start with the losers: these will be the Conservative Party and UKIP. Such will be the disruption and economic devastation of a catastrophic Brexit the Tories will be wiped out electorally. As UKIP has been the cheerleader of this self inflicted lunacy it too (if there is any justice) will suffer similarly. The biggest winner will be the party that you personally loathe the most. The Liberal Democrats. Many Ukippers loathe the “Dim-Libs” with a passion. For the most obvious reasons! Their Europhilia gets right up their noses! The other big winner will be the Labour Party. This will mean of course that if Paul Nuttal does win the Stoke Central by election on the 23rd then he will be guaranteed to be defeated in May 2020! So, the recap. You have used the word “wrecking”. It is an excellent word to use in the context of Brexit. I am now resident in Cornwall. I live near the coast. In Cornwall of course the word “wrecking” has a particular resonance. It can refer to the use of lights to draw a ship onto the rocks with the aim of steal it’s cargo. The crew were considered expendable. Well if you and others in UKIP succeed in your efforts, those in UKIP Cornwall (http://ukipcornwall.org/) will have wrecked the British economy just as surely as any gang of 18th Century wreckers! Put another way: Up to Friday 24th June 2016 (That Glorious Midsummer’s Day) UKIP were part of the SOLUTION (of restoring lawful sovereign government to the United Kingdom of Great Britain and Northern Ireland). Since then it is part of the PROBLEM! We earnestly hope that you FAIL in your efforts!